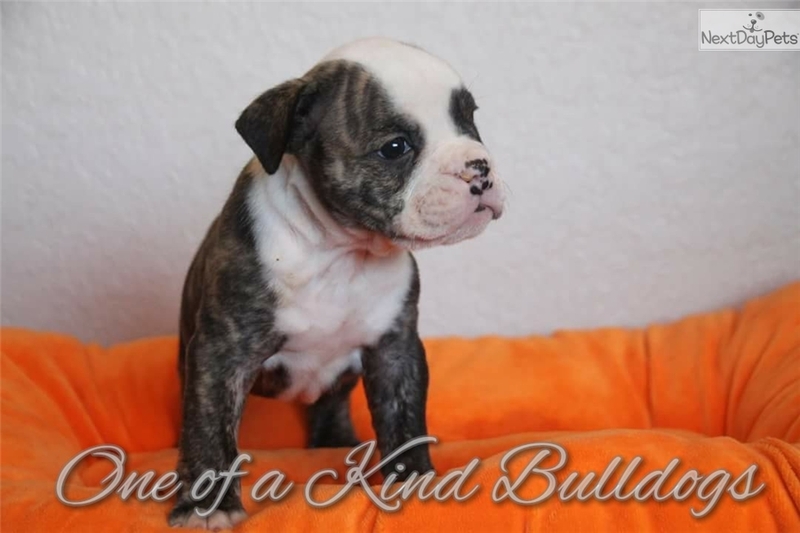 Brindle | Olde English Bulldogge | "Roscoe"
This Olde English Bulldogge nicknamed Roscoe sold and went to a new family. 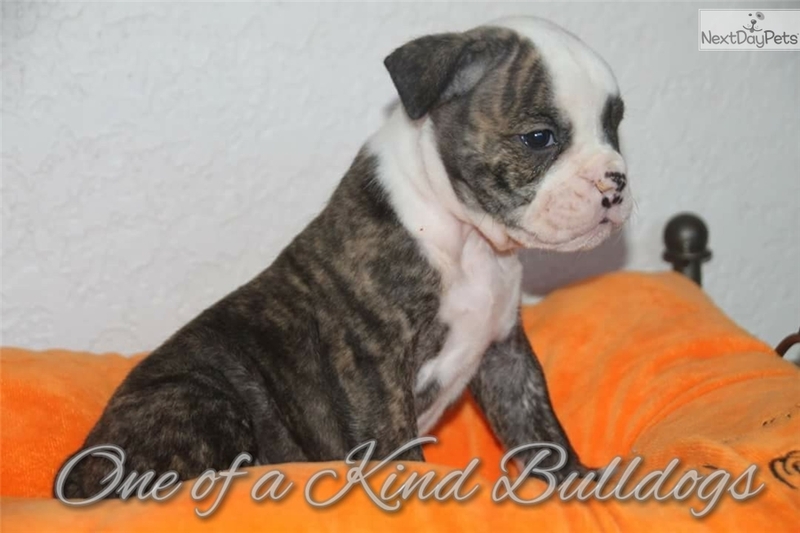 Brindle Olde English bulldog who is awaiting a new home! All of our puppies come fully vaccinated, free microchip, and complementary spay or neuter at our local veterinarian, and of course our lifetime guarantee and customer service. 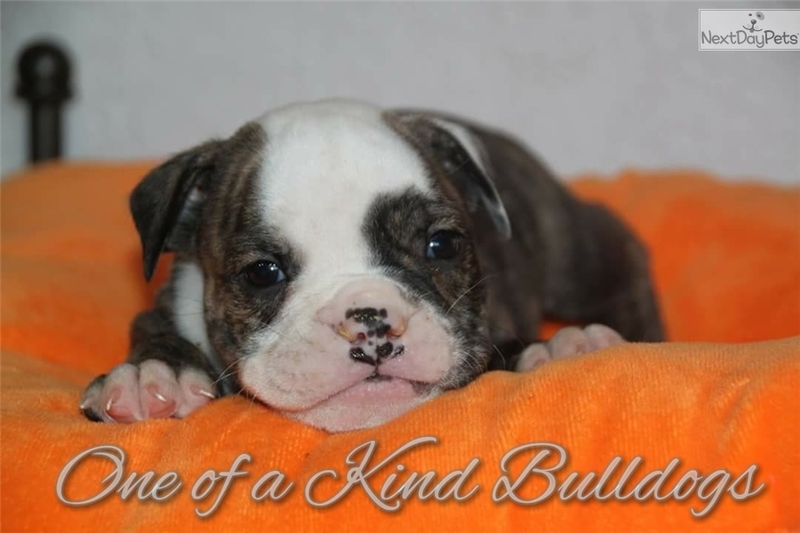 At One of a Kind Bulldogs we strive to produce healthy, happy and socialized bulldog puppies and provide acceptional care and customer service second to none. 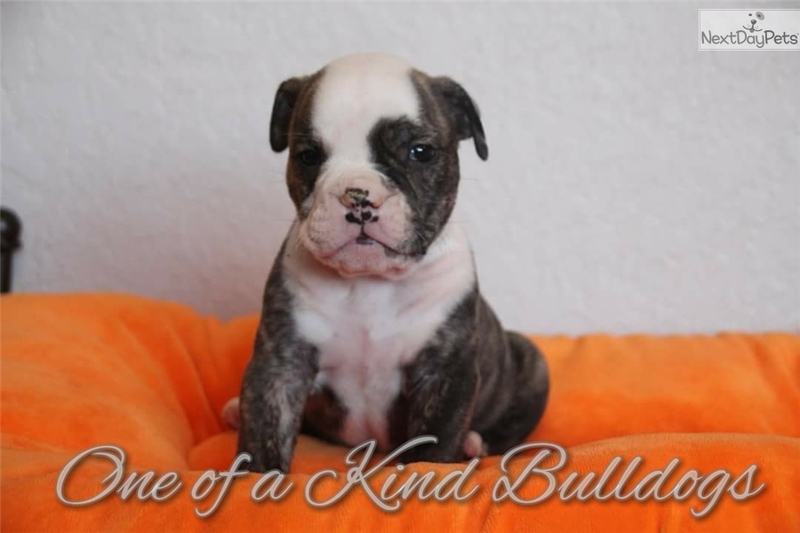 Our Old English Bulldogs come with an un-beatable lifetime guarantee, full vaccines, complimentary spay/neuter for local customers and more. 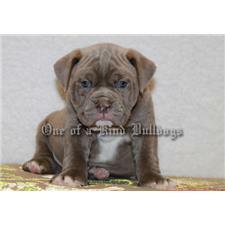 We are also an experienced shipper with happy bulldogs all over the world. Check us out and call anytime with questions or to schedule a viewing.